Francis Quirk executed some exceptional portraits with pastels. Here we provide the ones we have captured in our image library. 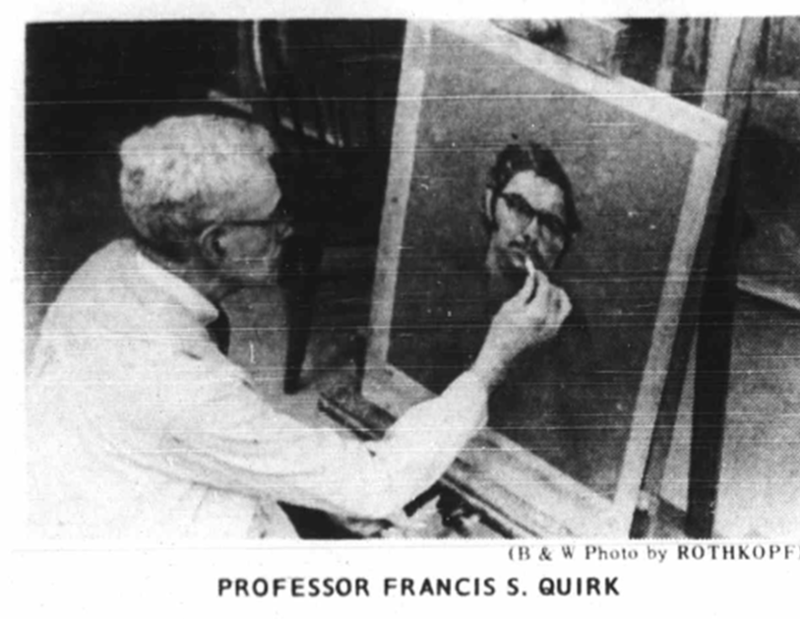 He is shown working in pastel in a photo of him in the Brown and White's profile piece published with his retirement from Lehigh University. Earlier at Ogontz College he executed a pastel portrait to a top student every year. Francis Quirk at work with pastels creating a portrait at Lehigh University. The photo was published in the School's newspaper- "The Brown and White"
The portraits show his mastery of draftsmanship,shade and color. In the portraits of young children, one can see that he had challenges with getting the relationships of the facial features in proper proportion. Yet in those portraits there are elements executed with great dexterity including a bunny, lobster claw and carriage. 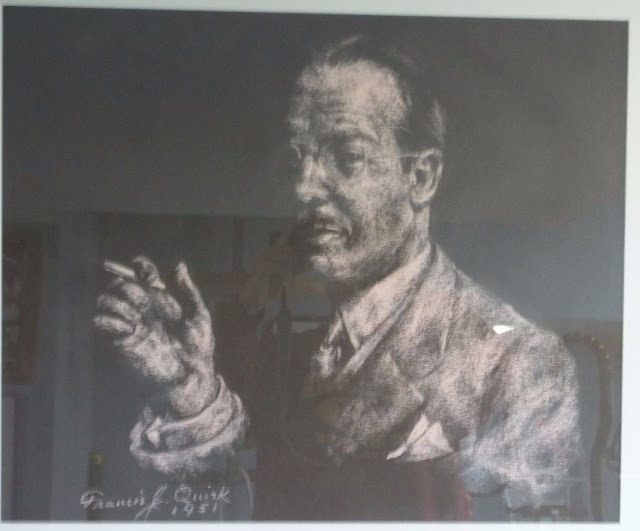 Pastel Portrait by Francis J. Quirk- This was a study for an oil painting. Pastel Portrait by Francis J. Quirk This was a study for an oil painting. Pastel Portrait by Francis J. Quirk Possibly his wife Anna?